If writing and reading was an illness then most people in Africa could have been sick already, because today’s Africa has a poor approach to reading and writing. Africa is one of the continents of the world with a number of school going children who are not able to read and write competently in commensurate with their age and grade levels. And this can explain why Africa’s future generation will be lagging behind in this era of cutting edge technology because the key to academic, social and economic progression has been hindered by poor reading and writing policies in place. Furthermore, it is unarguable, to say that African history will not outlive the 21st century, because Africa’s current policies and culture doesn’t acknowledge the writing of history and may be attributed to the poor reading culture. And this has led to most young Africans not to know their own history and cultures, but rather know other parts of the world’s history and culture. In line with the above, donors have played an important role in encouraging the culture of not reading and writing, due to the fact that, donors impose programmes which are not commensurate with the African education system, hence both teachers and pupils don’t enjoy it. And a perfect example can be, the geography and history programmes in schools which covers other continents and little about the African continent itself. 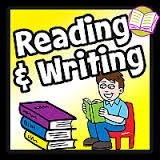 It is programmes like the above, that have encouraged the continued decline in reading and writing, because education programmes in other continents like Asia, Europe and America have no programmes that are dedicated to the study of other continents in depth and the reason behind this strategy maybe to encourage reading and writing to student by first embracing own history and geography. I strongly believe in an African generation that knows how to write and read, not forgetting an African generation that knows its history and such a generation may not be seen in Africa because of the poor reading and writing policies. I believe, Africa as a whole has to begin to advocate for reading and history taking projects, so that the new generation and the rest of the world will know Africa from the inside out core. More to that, Africa as a continent has undergone a lot of changes and has a rich history that the world has to know, therefore, it is with the changes in policies that will encourage many Africans and the rest of the world respectively to take interest in the beautiful rich African history. And it is with the above mindset, which will encourage a new generation of writers and readers that have a better foundation. In conclusion, they say that,’ if you want to hide anything from an African, put it in a book’, but I believe this is a myth from the past and can be overcome, if only we can transform ourselves with the knowledge that comes with reading and writing.